Creating a will is something that many don’t think of until later in life. While it doesn’t need to be done when you’re in your early twenties, as you continue to grow older it’s not a bad idea to start thinking about what you want to include. There are also some life events that may happen which could push you to writing one. Getting married, divorced, or remarried can mean having new or different beneficiaries for your assets. If you already have a will, unless otherwise specified, that will is no longer valid once you are married. Also, a second marriage might mean that you want to change who your assets go to, or take people out of your will completely. If you have a child and have not created a will yet, that is reason enough to begin making one. In case of unforeseen circumstances you will want to make sure that your child has the portion of your estate that you want them to have. You can also name a guardian in your will, so if there is a specific person you would like to care of them, that should be stated. Do you own a business or a home? Other life events that may push you towards writing a will include owning a business or buying a house. In your will you can specify who will inherit the business and any real estate property that you own. When you have gotten to the point of writing your will, you can include pretty much anything you can think of. Here is a list of 5 important things to consider. 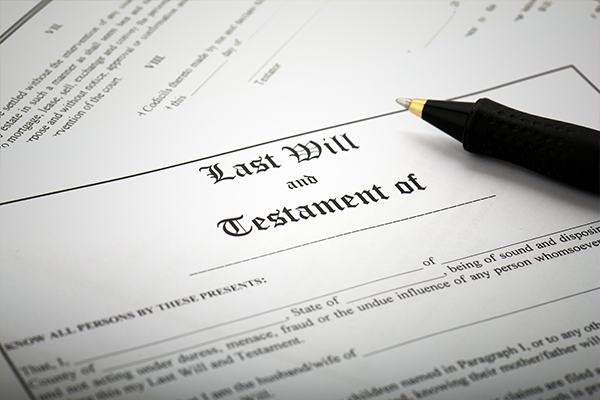 An executor is the person that you are trusting to be a representative of your will. They make sure that everything you asked for is carried out and all property and assets are divided correctly. As stated before, if you have a child and want to make sure they go to someone you trust, it is important that you include that into your will. Without including this, the law states that they go to your closest relative. This could be a spouse if you have one, a sibling, or a parent. Another thing to consider is where you would want your pets to go if you have any. You need to name a specific person you want to care of the pet, as well as leaving money for caretaking expenses if you choose. Funeral and cemetery needs will require expenditures, so you can include putting money towards that into your will. This can include the actual funeral costs and any taxes. If there is a specific bank account you want the money to come from, make sure to include that. This is also why preplanning your funeral is important. Planning these details out in advance will help your family to not be overwhelmed by trying to figure out what you would have wanted. Preplanning may also allow you the chance to make payments towards your funeral, depending on what arrangements you make. In this case, property means any cash, land or real estate. You can name one person that you want to give all of it to, or you can have it split up between multiple people. If you have certain property items that you want to go to a certain person, make sure to spell that out. When naming a beneficiary for assets, include what those assets are. You will follow the same procedures for this as you would when naming beneficiaries for property. Specify whether you want to give the asset directly or want to have it sold and the proceeds given to your beneficiary. Now that you have an understanding of what to consider when writing your will, go ahead and begin the process knowing that as you grow older and go through life changes your will also has the flexibility to change.